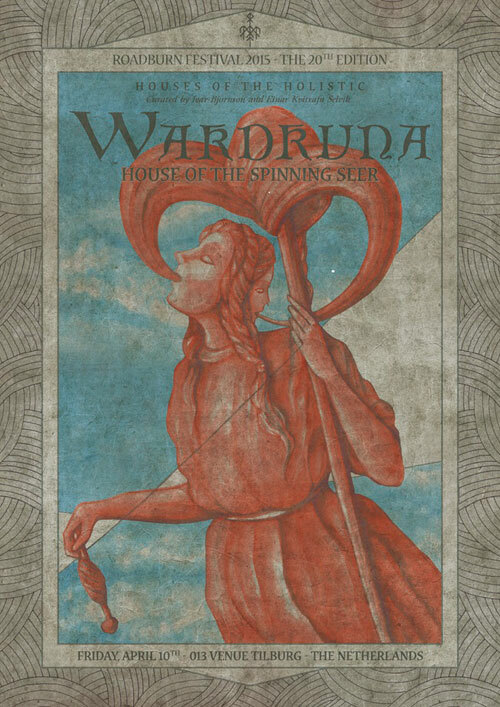 Winners of the award for Best Underground Band at the 2014 Metal Hammer Golden Gods Awards, Norway’s Wardruna will present a very special performance, dubbed House Of The Spinning Seer, at Houses Of The Holistic, Ivar Bjørnson’s (Enslaved) and Einar “Kvitrafn” Selvik‘s curated Roadburn event on Friday, April 10 in Tilburg, The Netherlands. The 20th edition of Roadburn Festival runs from April 9 to 12, 2015 at the 013 venue in Tilburg, The Netherlands. Get your tickets HERE.